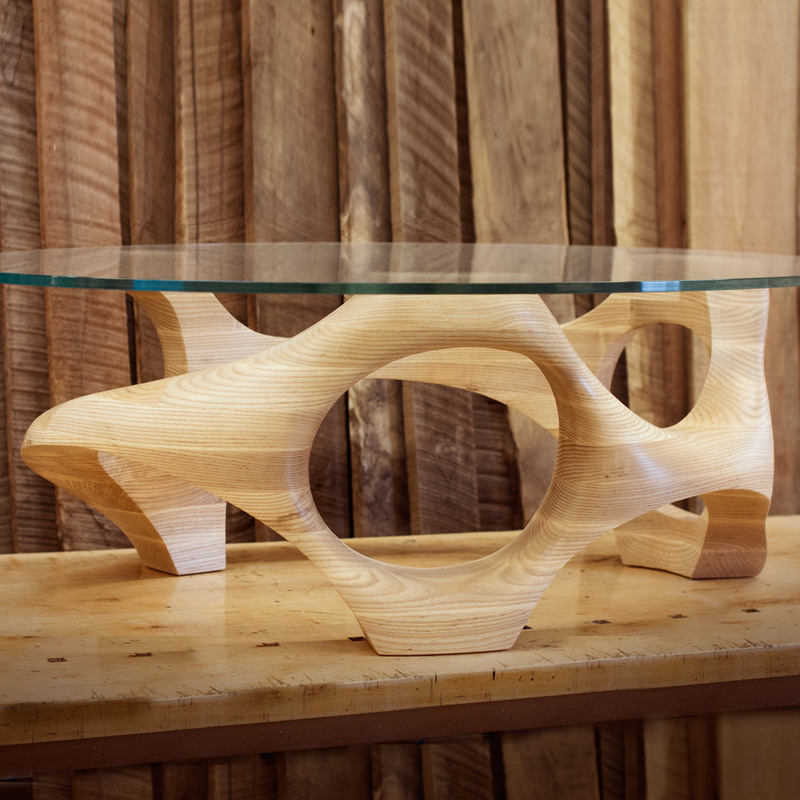 Handcarved from stack laminated white ash. Clear lacquered finish. 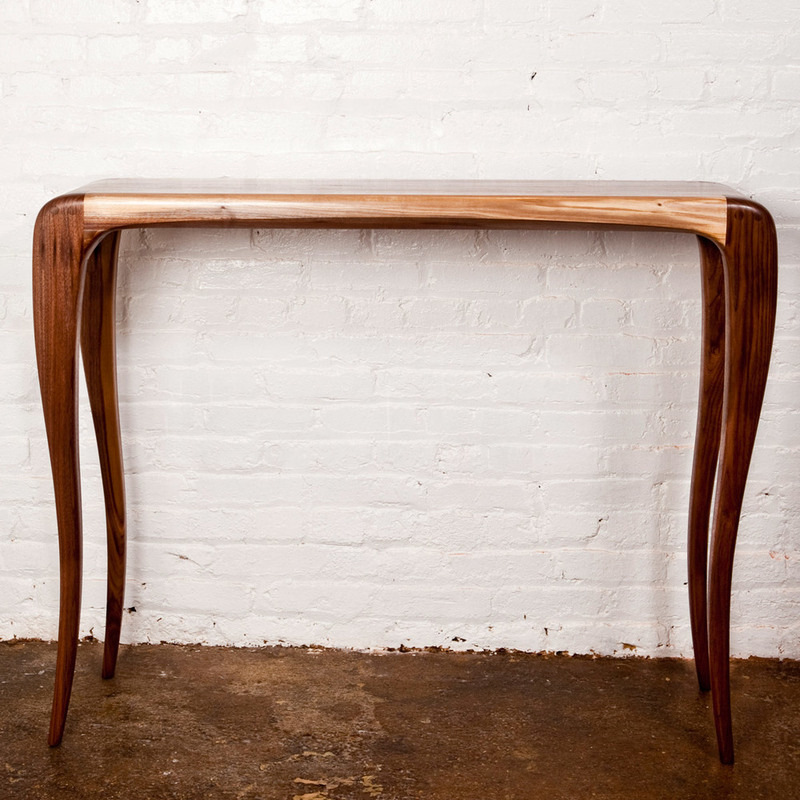 Single slab of wood turns gracefully into hand carved legs with a cabriole bend. 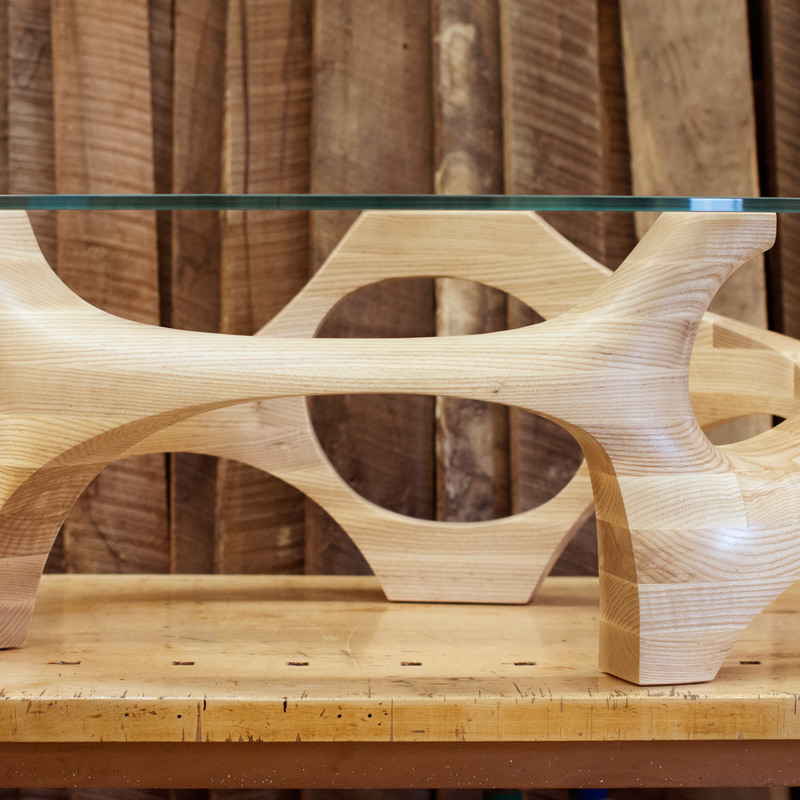 For use as a side table, parson, foyer table.